Paxton Lynch. Credit: Isaiah J. Downing, USA Today Sports. 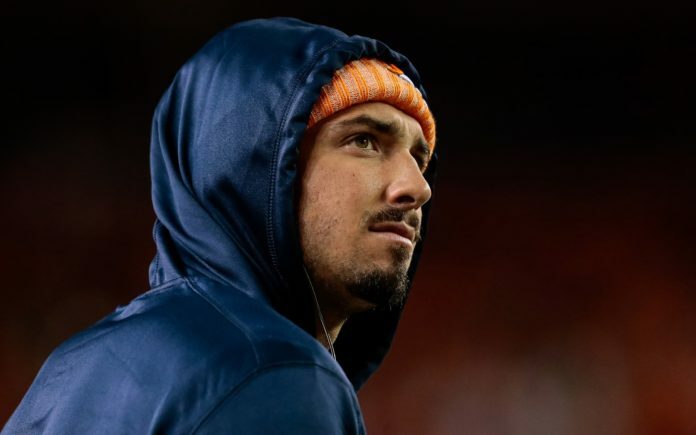 One day after making the 53-man active roster, Paxton Lynch will be cut. Lynch, formerly the No. 26 overall pick in the 2016 draft, has gone through a much more down than up two-plus years in the NFL. 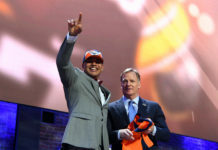 For the Broncos, Lynch played in a mere five games over the last two seasons after losing out on the starting quarterback job two years in a row to Trevor Siemian. This year, he started training camp as the team’s backup but then lost that job to Chad Kelly, who completely out-played him in all four preseason games this August. Lynch didn’t progress, he undoubtedly regressed this year. In those five regular season appearances, Lynch went 79-128 (61.7 percent) for 792 yards with four touchdowns and four interceptions. He also ran 16 times for 55 yards, utilizing some athleticism by tucking and running with the ball. The problem, though, was that Lynch was too quick to tuck and take off instead of standing in the pocket and progressing through reads. 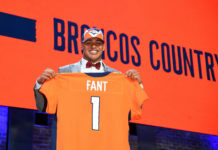 While his 6’7″ frame was mouth-watering for the Broncos front office out of college, he could never get the 6″ between his ears to figure out the incredibly complex game at the NFL level. For Lynch, what happens next is up in the air. He was supposed to make just north of $3 million in 2018-19, and his cap hit this year alone is more than $2.85 million. For the Broncos, the signing of Kevin Hogan off waivers this morning likely helped them finally make the decision to cut Lynch and move away from one of the biggest busts in team history. Unfortunately, Denver should have cut him yesterday and save that roster spot for someone like De’Angelo Henderson.